Each year the list includes more than 3,000 scientists around the world who have published the highest number of articles that are cited the most frequently by other researchers. It is compiled from two separate Thomson Reuters studies that have been analyzed for publication and citation data from 22 subject fields of study, ranging from chemistry to social sciences. With 44 patents and 97 publications in the field of wireless communications, Hochwald has experienced and led the practice of wireless communications from a variety of angles in his roles at the Department of Defense, as a distinguished member of the technical staff at Bell Laboratories and as vice president of Systems Engineering at Beceem Communications. He has invented technologies and published research articles that are the mainstays of communication theory and practice, including differential multiple-antenna methods, linear dispersion codes and multi-user precoding methods. He is currently working on wideband radio-frequency circuits and antennas, fifth-generation (5G) cellular technologies and methods to reduce human exposure to electromagnetic radiation from portable wireless devices. Another expert in the field of wireless communications and Fellow of the IEEE, Laneman is the author of more than 120 publications and inventor on six patents. His work addresses system design and prototyping of technologies, such as multihop and cooperative relaying, dynamic spectrum access and physical-layer security. Among his other honors are a Presidential Early Career Award for Scientists and Engineers, a National Science Foundation CAREER Award and an Oak Ridge Associated Universities Ralph E. Powe Junior Faculty Award. Connecting a multidisciplinary team of Notre Dame faculty with leading industrial collaborators, Laneman is the founding director of the Wireless Institute in the College of Engineering. He also serves as a professor in the Department of Electrical Engineering and is a Fellow of the John J. Reilly Center for Science, Technology and Values. He joined the University in 2002. Beers serves as the Notre Dame Chair in Astrophysics and associate director of the Joint Institute for Nuclear Astrophysics — Center for Evolution of the Elements, an NSF Physics Frontier Center. 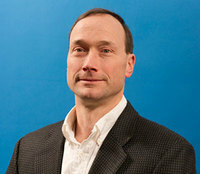 Beers is the recipient of the Humboldt Senior Research Award and has authored more than 380 peer-reviewed publications. His research, which stretches across many dimensions of astrophysics and the origin of the elements in the universe, is currently focused on the Milky Way, specifically the third extension of the Sloan Digital Sky Survey. He and his colleagues have measured elemental abundances for more than 600,000 stars in the galaxy, 200 times the numbers of ancient, very metal-poor stars that were previously known. His recent work has demonstrated that a subset of the most metal-poor stars — the carbon-enhanced metal-poor stars — have recorded the chemical history of the elements produced by the very first generations of stars born in the universe, a few hundred million years after the Big Bang. Beers and his group at Notre Dame also recently produced the first age map of the halo of the Milky Way, which provides a key to understanding its history of assembly. 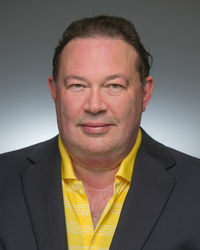 Beers joined the University in 2014, following 26 years at Michigan State University, from which he retired as University Distinguished Professor, and three years as director of the Kitt Peak National Observatory in Tucson, Arizona. A leader in the field of converting solar to electricity and chemical energy, Kamat serves as the Rev. 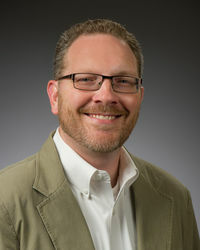 John A. Zahm, C.S.C., Professor of Science in the Department of Chemistry and Biochemistry and the Notre Dame Radiation Laboratory, as well as concurrent professor in the Department of Chemical and Biomolecular Engineering. He has published more than 450 peer-reviewed publications, edited four books, is a contributor to 14 books and monographs and serves as the deputy editor of the Journal of Physical Chemistry Letters. In addition to this most recent recognition from Thomson Reuters, in 2011 Times Higher Education Group ranked him among the top 100 chemists of the previous decade based on citations per paper. The h-index measure of his research impact surpassed 114 this year, a distinction achieved by only the world’s most elite scientists. He also is a Fellow of the American Chemical Society (ACS), American Association for the Advancement of Science and the Electrochemical Society. His honors include the Chemical Research Society of India Medal, Honda-Fujishima Lectureship Award from the Japanese Photochemistry Association and ACS’s Langmuir Leadership Award. The goal of Kamat’s research is to build bridges between physical chemistry and material science in order to improve energy conversion efficiencies. His most recent work focuses on nanotechnology and material chemistry, solar energy conversion, chemical processes in heterogeneous media and solar fuels. He joined the Notre Dame faculty in 1983. 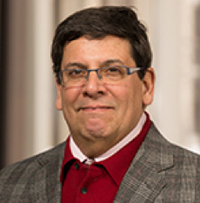 Cited by Thomson Reuters for his work in economics and business, Gómez-Mejia serves as the Ray and Milann Siegfried Professor of Management. Publishing more than 200 articles in the most prestigious management journals, he is ranked one of the most highly cited scholars and one of the 12 most published authors in the “big eight” management journals out of approximately 20,000 Academy of Management members. He has also written and edited more than 15 books in various management areas, including his areas of expertise — international management, family business, strategic management and executive compensation. A member of the Hall of Fame of the Academy of Management, Gómez-Mejia has received numerous awards for his research and was elected as a member of the Board of Governors of the Academy of Management, as well as three-term president of the Iberoamerican Academy of Management, which covers Spain, Portugal, all of Latin America, and Hispanic faculty in U.S. universities. He has also served as president of the Personnel/Human Resources Division of the Academy of Management. Gómez-Mejia came to the University in 2013 from his position as the Benton Cocanaugher Chair in Business at Texas A&M University. Prior to that he served as a faculty member at Arizona State University, where he was a Council of 100 Distinguished Scholar, a Regents Professor and Arizona Heritage Chair holder. More information about the methodology behind the list is available at Thomson Reuters. Originally published by Nina Welding at news.nd.edu on January 21, 2016.